With three solar panels installed for every two Nevadans, Nevada now has more solar capacity per person than any other state. But, at the behest of NV Energy, the state also eliminated its net metering program last December, causing a whopping 93 percent decline in rooftop solar applications the following month. The Silver State's solar schizophrenia, detailed in the latest ranking of state solar capacity by Environment America and Frontier Group, exemplifies a growing trend: the states where solar is booming the most are those where utility interests are attacking it the hardest. That's why Bret Fanshaw of Environment America, co-author of the study, has said: "The more solar grows, the more big utilities try to stop it. Even in the face of strong public support for pollution-free energy, these special interests are working across the country to undermine the policies that have helped states become solar leaders." 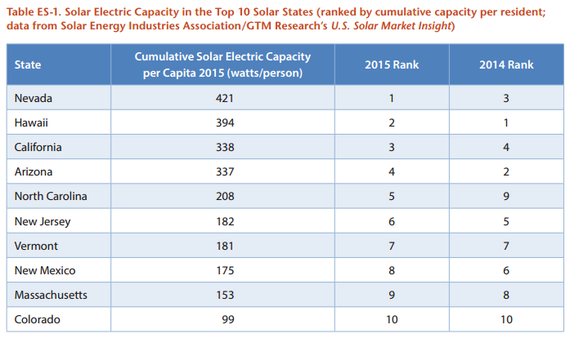 The study's top states for solar capacity per capita -- Nevada, Hawaii, California, Arizona, North Carolina, New Jersey, Vermont, New Mexico, Massachusetts and Colorado - have for years held in common pro-clean energy policies, such as strong net metering programs and interconnection standards. But the inducements for growing numbers of homes, businesses and schools to go solar are increasingly under assault from utilities, who view distributed clean energy generation as a direct threat to their business model. Last year utilities convinced officials in Hawaii as well as Nevada to eliminate their net metering programs, while earlier this year California's program narrowly withstood a high-profile utility assault. "As we've seen in many states, California's big utilities proposed to cut net metering credit and add major new fees for customers who want to go solar," Susannah Churchill, West Coast Regional Director for Vote Solar, told reporters on a conference call to release the study. "After careful consideration of both the facts and input from diverse stakeholders, California regulators voted to preserve solar - standing strong for progress, for innovation, and for the public interest." Other states fared less well. In Arizona, one major utility charged a new fee on new solar customers, depressing rooftop solar power growth in its 1 million-person service area; two other utilities in the state are now pressing to institute similar charges and eliminate their retail net metering programs. 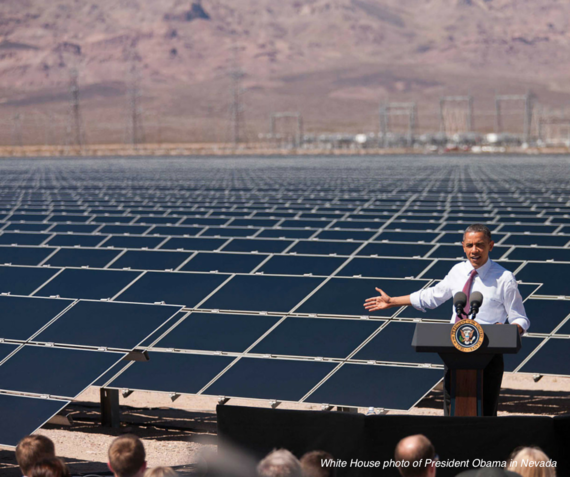 Anti-solar salvos like these come as embattled utilities witness the growing popularity and adoption of the renewable energy resource nationwide. In February solar cleared the milestone of 1 million installations across the country, and is expected to add another million in just two years' time as prices continue to plummet. Across the country, poll after poll shows overwhelming support for solar energy, while a Gallup poll from this year shows that as concern about global warming rises, Americans want increasing emphasis on alternative energy sources such as solar and wind rather than fossil fuels. 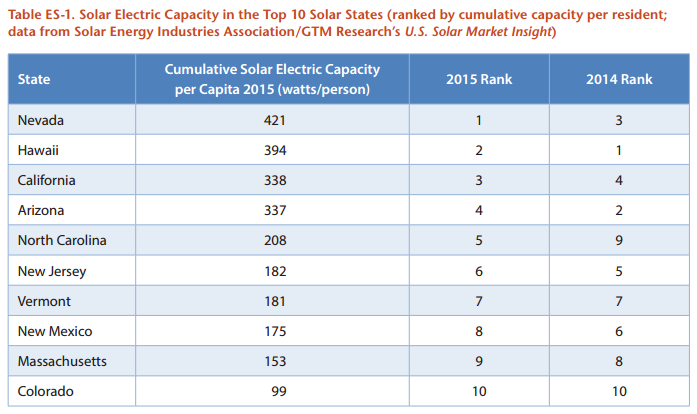 And so, despite utility attacks, many pro-solar policies remain in the 10 leading-edge states, who make up 88 percent of the nation's solar capacity but less than a third of its population. All have renewable energy requirements, for example, and nine have strong laws to allow solar customers to connect to the electricity grid. But utilities aren't letting up on their quest to erode such policies, nor are they confining them to top solar states. For instance, so far they've succeeded in blocking substantial clean energy progress in Florida, where the potential is vast. Ultimately, however, in Florida, Nevada, and across the country, we're confident public support will win out. 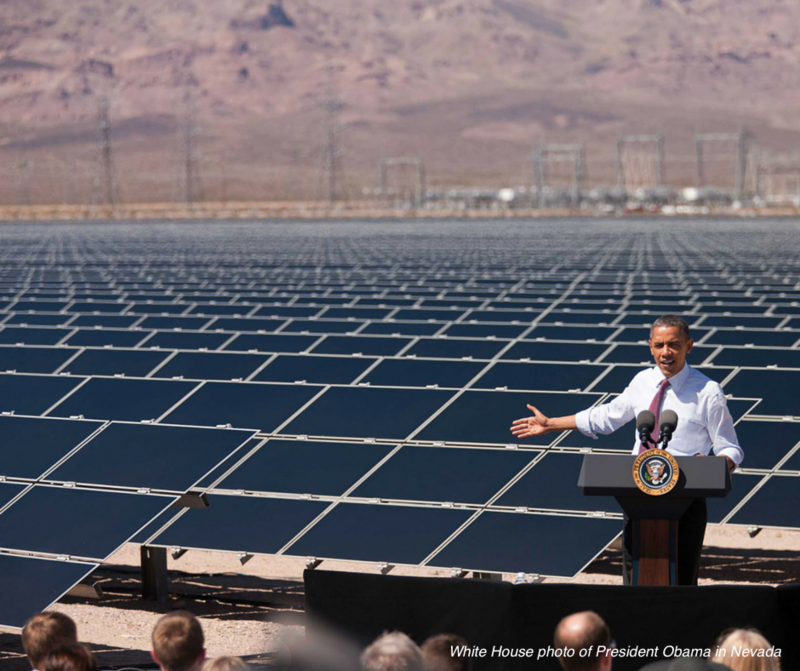 As Chandler Sherman, Deputy Campaign Manager of Bring Back Solar, the group organized to undo the damage inflicted by big utilities late last year, said, "the people of Nevada overwhelmingly support restoring net metering, so Nevadans once again have the freedom to power our communities with affordable, clean energy."